Only 3 weeks before my buddy Bart, me and a few others leave for a rock climbing trip in the Calanques, South of France. Right above the .Mediterranean! April weather can be really nice, we might end up swimming! As usual on the Saturday I did my tour de van Harten, to see if there was any progress with my bike. And guess what, I can pick her up next Saturday! Click title for more pics. Well, actually I have him. The HP2E. Was delivered at my dealer today, crated and with a full load of complimentary dust. Appears the bike had been in London, Hellas (Greece) and was almost shipped to Singapore. So I guess the dust is from dusty Greece? Doesn't matter, below the dust it shines! Actually this is something I have been doing since this 'thing' came out. Back in 2005 I was totally impressed with BMW's plans to bring out the extreme HP2 series of bikes. The Enduro, the Megamoto and Sport. When they arrived in the shop I kept on flirting but never did the deed. At the time my dealer told me 'the Enduro is nothing for you, better take the GS'. And when the '08 R1200GS came out I traded in my R1200S Special and never regretted a single day. 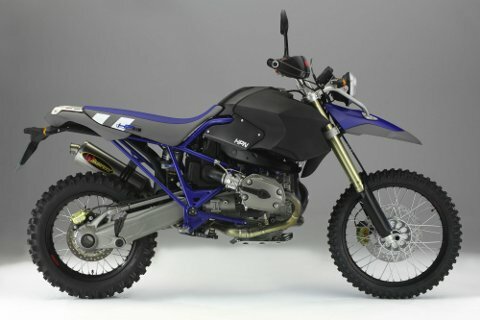 But now, as I like the GS concept so much I started to think back to '05 when BMW introduced the awsome the HP2's. Too bad the Enduro is no longer made. In fact, BMW only produced 800 of them (although 1600 and 2000 has also been said) and only 20 officially came to the Netherlands (but there's actually a few more now overhere). This is not the first time and probably no news to you but I want to say it nevertheless. Van Harten Amersfoort is again Holland's top BMW motorcycle seller of 2008. They have managed to secure their #1 position as top seller. BMW A.G. does not want to disclose specific facts about their position and how far the competition is lagging behind. At any rate, this a a great achievement given the difficult circumstances at the market this year. Thailand is no longer a tourist-friendly country. On November 26, the people of the PAD movement in Thailand decided to hold over 300.000 foreigners hostage by refusing them to leave the country through main-port Bangkok. I consider this a terrorist act and believe that Thailand is fully entitled to stay on the Dangerous Countries list until democracy has been fully restored and aggressive movements like PAD end all their activities. Why such a strong statement? Because my wife and my friends are being held there against their will after their holidays and with them many, many others. Update: They're back. Nevertheless: There are too many instable countries out there. Beware! Travel at your own risk! I talked about Ubuntu before. About a year ago I bought a brand new Asus F8P laptop with Vista Home Premium edition (or something like that). I gave me WiFi problems, it gave me Video problems, it gave me sleepless nights. So I wiped the disk and installed Ubuntu 8.04 (the 2008 April release). What we feared has happened. The weather in the Alps is still very unstable and there's too much snow fall above 3000m. Although this little circuit of about 4kms is not known as technical it sure is hard enough for me. I did 2 laps and was completely knackered! The six of us went for a week of rock climbing in Kandersteg. Well, Ton and Niek went walking really. Jolijn, Michael, Bart and I did one or two easy routes every day until 3 of 4 pm when thunder clouds set in. The climbs could have been a bit harder to my taste, the most difficult multi pitch had one 5c bit in it (that felt easier, more like 5a). But we had a nice week, good company and great scenery around us! Bart and I also did a 6a which was also pretty easy. As I couldn't find anybody to join me I went solo. The Vosges has many unpaved and sometimes rough roads that criss-cross the landscape bringing you to places only foresters see. I did 1450 kms in 3 days, 600 km in and 600 out. The second day only off-road, I estimate in total about 250kms. This doesn't seem like a whole lot but riding on gravel, small stones and mud, up and down the mountains is really exhausting! July 4th I'm finally going back to the mountains for some serious exercise. I'm going to try to summit first the Monch (4107m) and then the Jungfrau (4158m). Of course I'm not doing this alone, I've hooked up with 5 other veterans so if the weather gods are with us we'll make it. The trip is rescheduled to August 22 due to expected dangerous conditions. Upgrading Drupal is still no trivial task as I learned this weekend. I spent dozens of hours trying to move from 5.7 to 6.2 and every time images (attached to nodes) failed to show. I wanted a new camera for a while now, to replace my 'old' Panasonic DMC-FX9. All things considered I again choose for a Panasonic, the just released and top-of-the-line DMC-FX500. With a 25-125mm (35mm eqv) lens and all the latest goodies from Panasonic I took the plunge and bought it without even having read a review. From now on probably most of my pics will be taken with the FX500. Everybody needs a challenge every now and then right? Like I don't have enough of them! But anyway, So I wiped my brand new Asus F8P notebook and installed Opensuse. No success, I couldn't get my screen resolution right, TV-Out didn't work, sound wasn't good, mouse behaved funny and so on. As I'm a total novice when it comes to Linux it took me a bit of figuring out. But 2 days later I was up and running. Everything worked. TV-Out so I can play videos om my TV, sound, mouse, even the power-save settings are all working as they should. I wish all visitors to this site a prosperous 2008 with lots of fun.